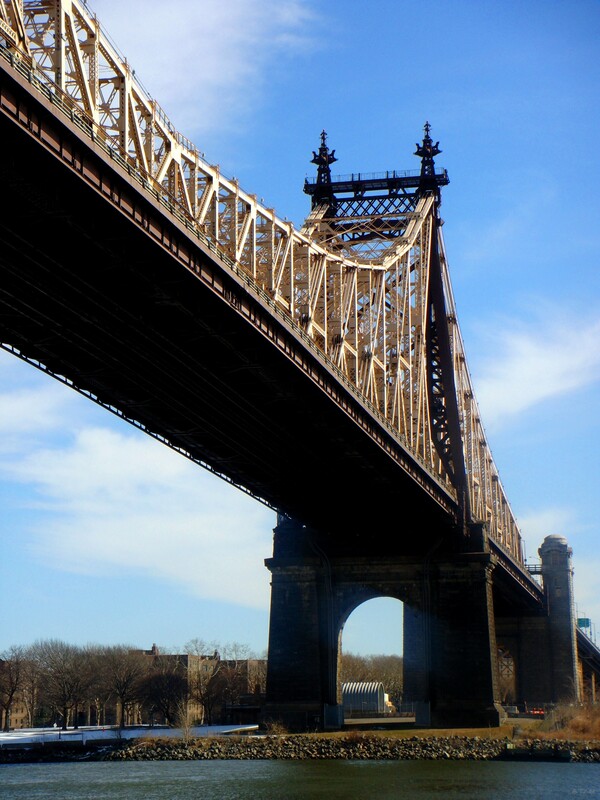 The Queensboro Bridge plays a major role in the events of Feeding. When Daray has fully turned into a giant snake, he takes Tajo across the bridge over the top of the girders that support the bridge deck. Tajo devises a harness to strap himself securely to Daray’s huge body. 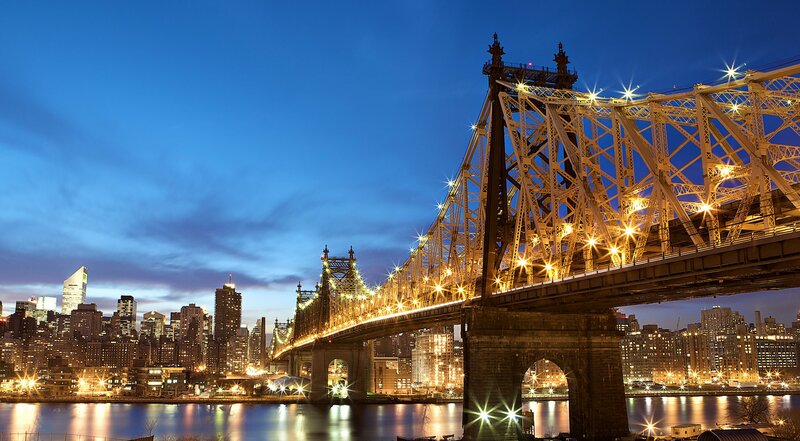 The Queensboro Bridge is also called the 59th Street Bridge. It was opened in 1909 and was, for eight years, the longest cantilever bridge in North America. The bridge originally carried trolley train tracks as well as vehicular lanes. The articles below can tell you all about the history of this New York City landmark. 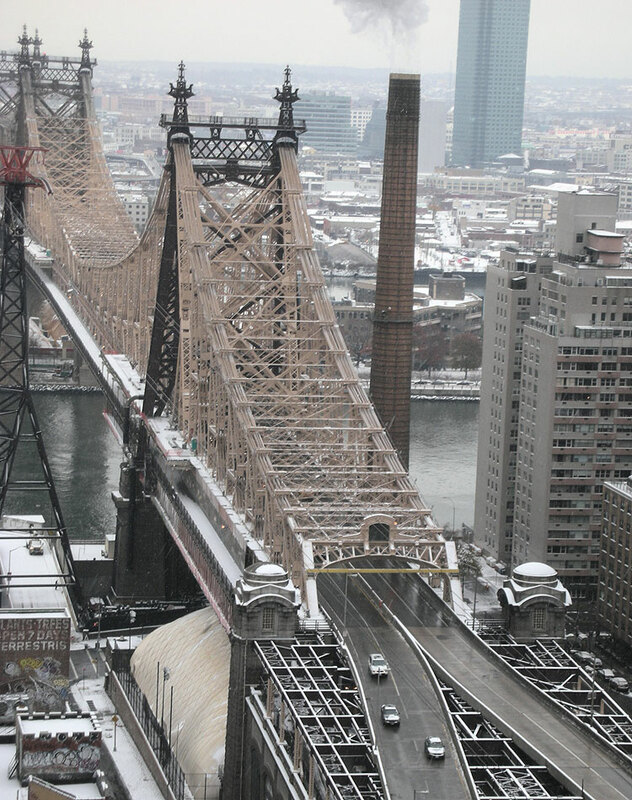 Check out some pictures of the Queensboro Bridge at this link, which includes some good shots taken from the very top of the bridge—the same view Tajo sees, only he crosses it at night. 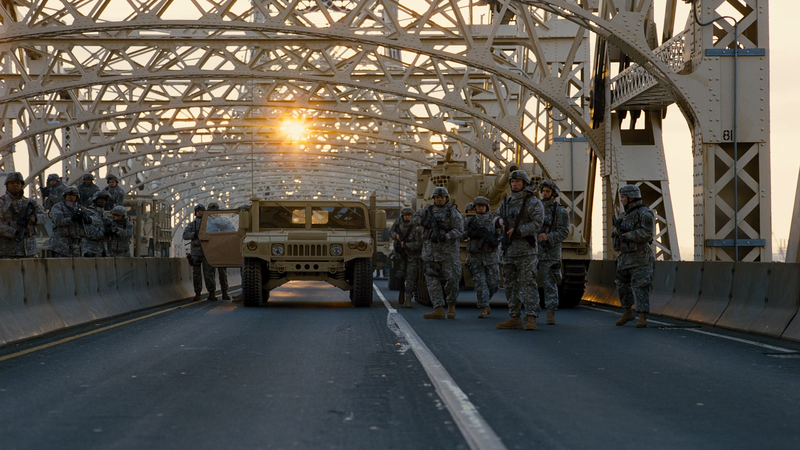 Nope, these guys aren’t hunting giant snakes; this is an image from the 2012 film, The Dark Knight Rises, which did location shooting on the Queensboro Bridge. 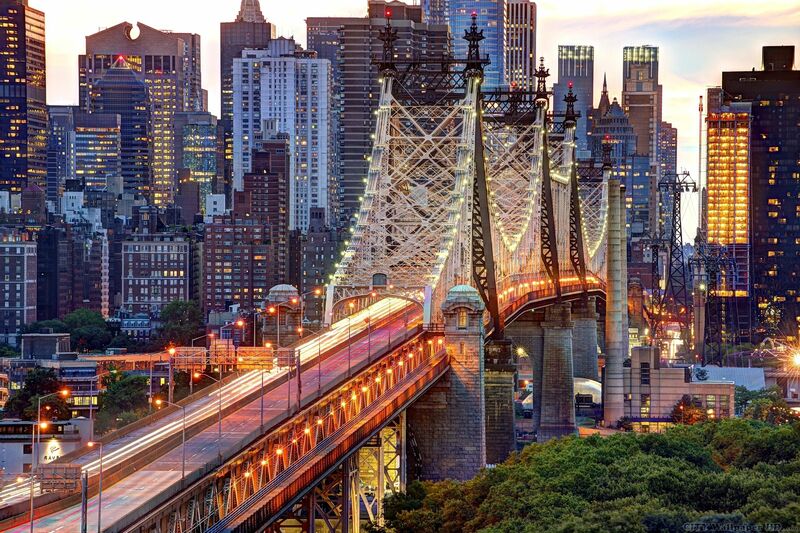 Tajo isn’t much of a Woody Allen fan, but his Aunt Lola is, and she would recognize the Queensboro Bridge in this iconic shot taken from Woody’s 1979 film, Manhattan. Tajo’s father Gustavo shares the sentiment of many people who live in Queens, who most certainly do not like the official name of the Queensboro Bridge. This entry was posted on July 17, 2015 by Cody L. Stanford. It was filed under New York City, Queensboro Bridge, videos and was tagged with New York City, Queensboro Bridge, videos.